Many projects, such as an old farm or an old or abandoned home site, generally require a lot of cleaning up. However, you’ll need to do quite of bit of reclaiming before you can move in or begin new construction. Learn how to handle leftover pieces of rebar stakes sticking out of the ground or hanging from fractured concrete. 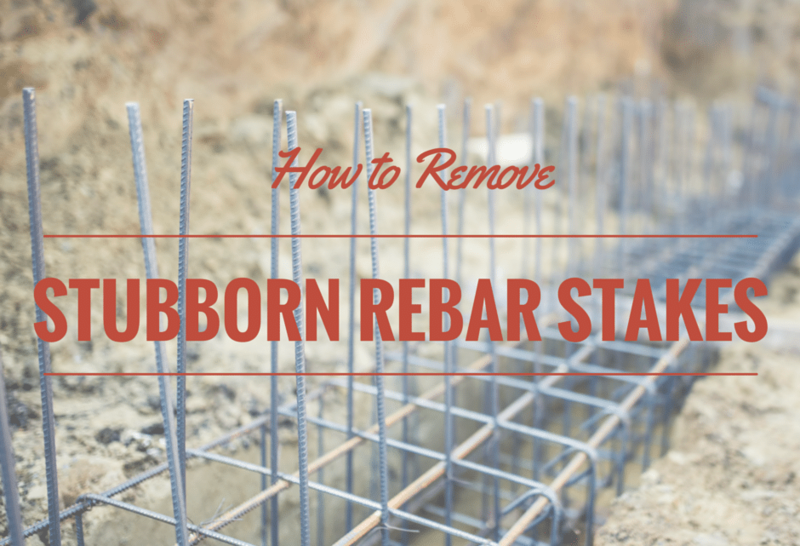 What is Rebar and Why Do I Need to Remove It? The sturdy steel rods called rebar offer support to poured concrete, but they’re often used for other building projects because they can handle outdoor conditions quite well. For example, you might find rebar stuck in the ground for support fence posts, holding up plants, or anchor long-gone yard decorations. You don’t want bits of rebar hanging around because it’s a safety hazard and can seriously injure anyone who falls on them. Of course, pullers and other tools are much easier to use when there’s a bent tip on the end of the rebar. This gives the tool something to press against. Grip style pullers often slide along the metal instead of getting a good hold when there’s grease or a flaky layer of rust on the surface. Try a portable rebar bender to quickly add a hook at the end for getting a better grasp. If you don’t mind the rebar but want to prevent the trip hazard, consider bending the material all the way down to the ground and hammering it under the surface of the soil. The fastest and easiest solution for unwanted rebar involves little more than a handy rebar cutter. Clear the dirt and grass away from the rod, then trim the material right at the surface level to smooth the ground out again. You can even dig down a bit so the cut edge is buried and unable to damage your mower blades or other yard equipment. There’s little need to go through the trouble of pulling stakes if you’re not planning to dig, excavate, or build in the area filled with old steel rods.